Welcome to our website. We represent many companies that offer the products and services you may need in order to be better prepared for the future for personal and business insurance needs. Such as Medicare Advantage Plans, Individaul and Business Major Medical Plans, Medicare Supplement Plans, Life Insurance, Long Term Care Insurance, Fixed and Indexed Annuites. Our firm is staffed by experts committed to providing our clients with highly personalized service. 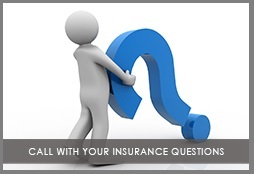 * our approach of helping you fit insurance coverage to your needs and not just buy a policy.